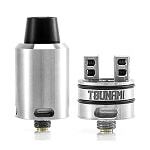 Which RDA (Rebuildable Drip Atomizer) Should You Buy? 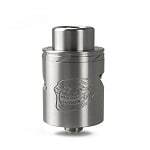 We spent many hours testing and reviewing some of the best RDAs on the market today to bring you our top pick for the number #1 spot: The HellVape Dead Rabbit RDA. Deep juice wells and ability to use single or dual coil builds. It is a good dripper for the money. It is priced affordably and designed so that even new builders can be successful at using this RDA. Not many advanced devices are made for beginners or even suggested for them. But the simplicity of this atomizer makes it perfect for someone wanting to get into building because it is so uncomplicated, even for beginners. Which Type of RDA is Right For You? 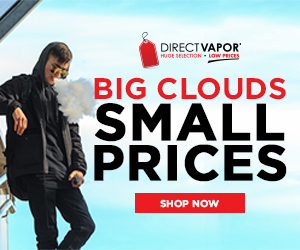 If you are looking for a new rebuildable atomizer to add to your growing collection, or if you are a new vaper who is looking to get into building your own coils, then you came at the right place. Here, you will learn all about the best RDAs so you will have no problem choosing the right one for you. If you are looking for an RDA for bigger clouds, the first thing that you should look for are big air flow holes. The general rule of thumb when it comes to cloud-chasing is more airflow is equal to bigger clouds. The newer RDAs have such huge airflow holes that you will hardly feel any resistance when you take a deep drag. For bigger clouds, you need to install bigger diameter coils. The more surface area that heats up and vaporizes the juice, the bigger and thicker clouds will be. Check the build deck, especially the holes where you will insert the leads for your coils and the distance between the positive and negative posts. If you are looking for the best RDAs for flavor, choose the ones with the smaller chambers. The shorter distance the vapor has to travel before it reaches your mouth means that less flavor is dissipated. Ideally, the inner chamber of the chuff cap should tapered or concaved towards the drip tip, this concentrates the vapor and makes the flavors more intense. If you are a beginner at coil building, you should avoid RDAs with complicated build decks. Ideally, for beginners, the two-post Velocity-style build decks are recommended. This type of build deck makes it easy to install coils because the post holes are staggered, so you do not have to bend your leads. For those experienced vapers: Avoid non-adjustable 510 pins. The 510 pin is the copper colored bolt that sticks out from the bottom of the RDA. Ideally, the 510 pin should stick out by a couple of millimeters, this means you can safely use the RDA on a hybrid mechanical mod and not just on a Variable Wattage mod with a spring-loaded 510 connector. Avoid RDAs with flimsy O-rings. Try spinning the chuff cap/air flow control a bit; if it seems too easy to twist then the O-rings are too small, which means that you will be constantly adjusting the airflow controls because they will most likely close or open up on their own. If your RDA doesn’t come with an extra set, buy some anyway. An RDA, or Rebuildable Dripping Atomizer, is a type of atomizer allowing the user to make their own custom heating coils. Unlike other atomizers where you have to buy replacement coils once they have gone bad (the cotton is too dirty, burnt, or if you want to use a different flavor juice). With RDAs you just need to buy some vaping wire, organic cotton, and some simple tools to begin making your own coils. Not only is it more economical than using pre-made sub-ohm coils, you can customize your vape to the way you want it. When you have gained enough experience building sub-ohm coils, you can change your RDA from being a cloud-chasing one to one that produces clouds that are more flavorful (flavor builds vs cloud-builds). How to Use an RDA? Using a Rebuildable Dripping Atomizer is quite straightforward. Once you have coils built and installed in your atomizer, and you have put the right amount of cotton in there as well, you are ready to vape. First, you need to place a couple of drops of juice directly on the coils to make it so the cotton will wick the juice from the juice well more efficiently. Once the cotton is all nice and saturated, place the chuff cap (the top cover of the RDA) and then directly drip around 6 to 8 drops of juice into the juice well. Re-wet the cotton as needed to keep it from becoming dry. The cotton inside the coils should resemble a slushi – not too wet or too dry. 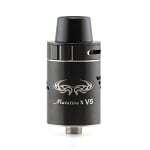 RDAs have several advantages over the other kinds of atomizers. First, if you want to use another kind of e-liquid, you only need to remove the old cotton and replace with fresh, new cotton and you are good to go. With sub-ohm tanks, you need to replace the premade coils entirely because the flavors would mix. Another advantage is that RDAs are more economical to use compared to atomizers that use pre-built coil heads. A couple of feet of vaping wire and a bundle of organic cotton can last more than a month, and they only cost a couple of bucks; pre-built coils, on the other hand, are quite expensive, sometimes running $15 for a pack of six, which will only last a week, maybe two tops.